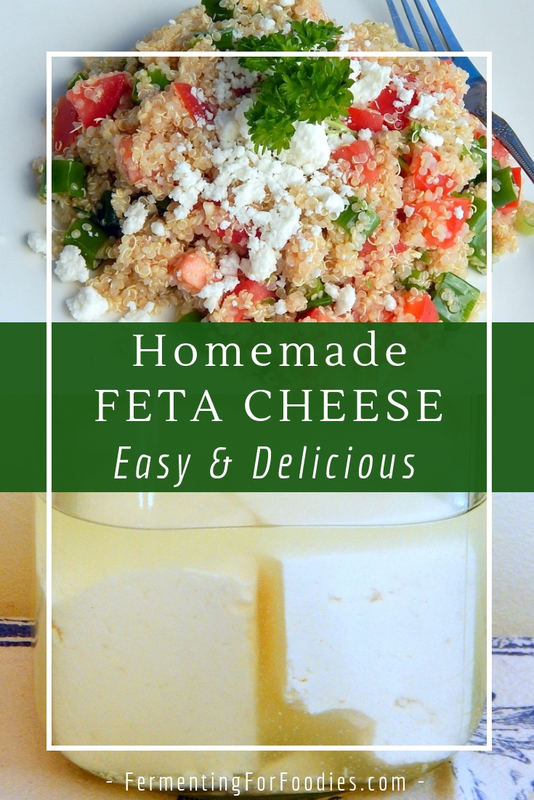 Homemade feta cheese is a perfect cheese for beginners. It is cheaper than store-bought feta, and doesn’t require any special techniques or ripening. Best of all, because it is a fresh cheese that is brined in salt, it’s pretty easy to make. Since feta cheese is a basic salt-brined white cheese, it is similar to a variety of white, crumbly cheeses found all over Europe and the Middle East. 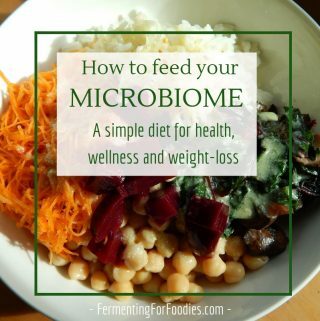 Recipes vary based on the type of milk available and bacterial culture. I based my recipe on a combination of 4 different recipes to create a quick and easy white cheese. My recipe assumes that you have a basic understand of the cheesemaking process. If you need more information read my posts on how to make homemade cheese. Heat milk to 86 F (30C). Stir in culture. Keep at 86 F for 1 hour. Stir in calcium chloride, then the rennet. Mix thoroughly. Maintain the heat and leave to sit for 1 hour for the curd to set. 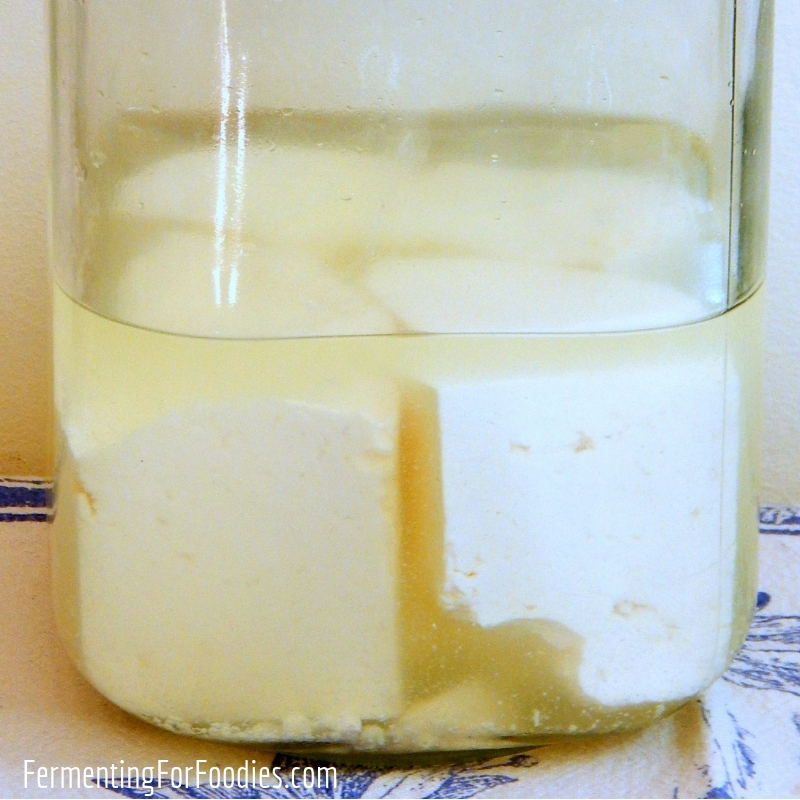 When the curd show a clean break, cut the curds into ½" cubes. Cook the curds by stirring every 5 minutes for the next ½ hour, slowly raising the temperature to 90F (32C). Line a strainer with butter muslin and pour the curds and whey into it. Either pack the drained curds into a feta mold or hang the curd in the butter muslin. Allow to drain for 8-12 hours. If you are using a mold, flip the cheese at least twice to ensure even drainage. Prepare the brine ahead of time to make sure that all the salt has dissolved. After the cheese has finished draining, cut it into 2-4 pieces and place it in the brine. 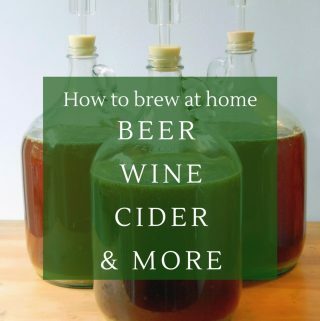 Store it in the fridge and allow it to ripen for at least 5 days. 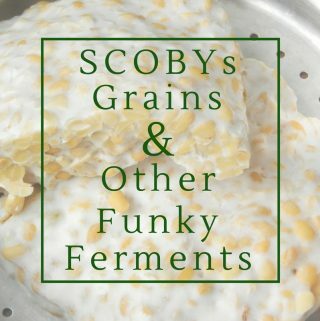 Please read up on the detailed processes involved with cheesemaking if you are uncertain about any of the steps in this recipe. Follow the instructions on your rennet package to set 2 liters of milk. If you find that the feta is too salty, simply reduce the amount of salt in your brine to 1 tbsp, or rinse the cheese before using it. Feta will last for at least a month in the fridge. 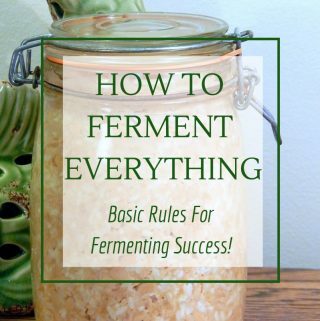 However, because it is a living culture it will continue to ferment and sour over time. If you turn a gallon of milk into feta cheese, you end up with a lot of feta! Here are few recipes, beyond the infamous Greek salad, that feature the salty flavour of feta. Emillie, is there a place to buy starters in Victoria, or are you getting it all via mail? I bought a cheese making kit in Seattle. But I also got some culture here: http://www.homesteadjunction.ca/ However, if you were interested I definitely can share some feta culture. I have a ton, and it only lasts so long (mine is best before May). It would be wonderful to mooch some culture off you sometime. I often think we need a Homesteader’s Junction kind of garage business here in Victoria, though I think the market would be so small it might never fly. Maybe I should be content with mail order. I think Ingredients might carry a few different starters, but not that much. Just drop me a line when you want the feta culture.